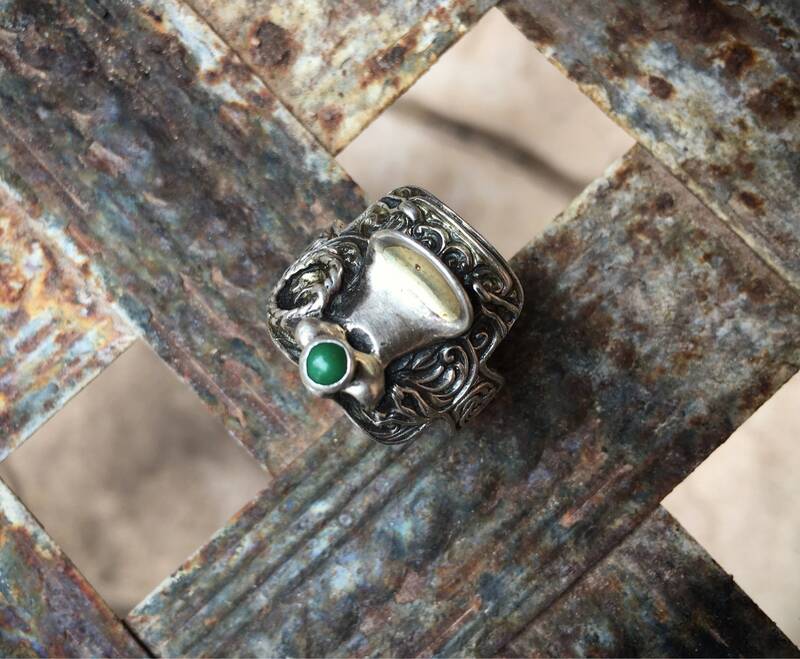 This fun turquoise ring features a cabochon of green turquoise in a snake eye setting. 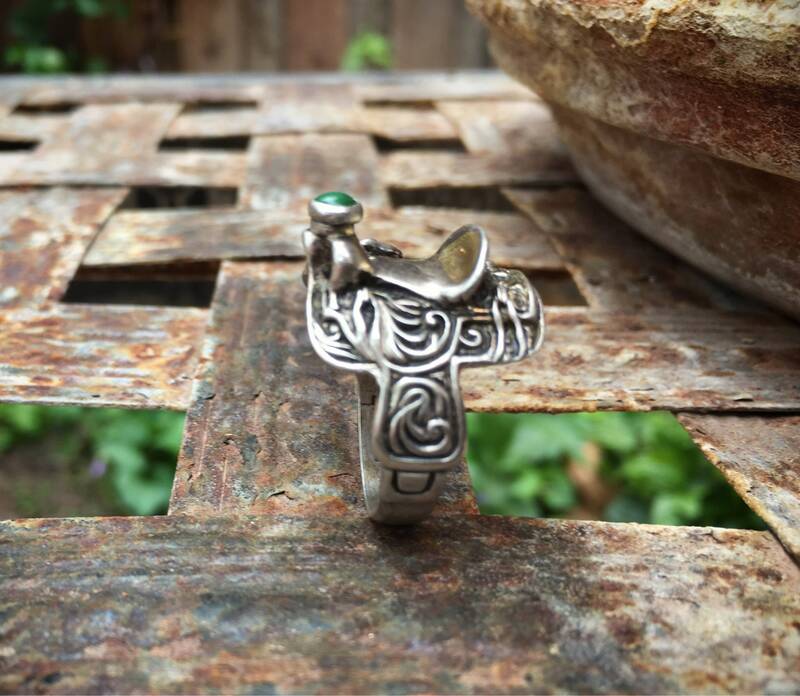 The ring is sterling silver and shaped like a horse’s saddle, with the turquoise at the horn of the saddle. Intricate work along the saddle's sides and stirrups, very similar to how a Western saddle's leather tooling would be. A little silver lasso on one side. The interior has a STERLING stamp yet no artist hallmark, so we cannot say with certainty that it is Native American. Hence, we call it Southwestern or Native-inspired. 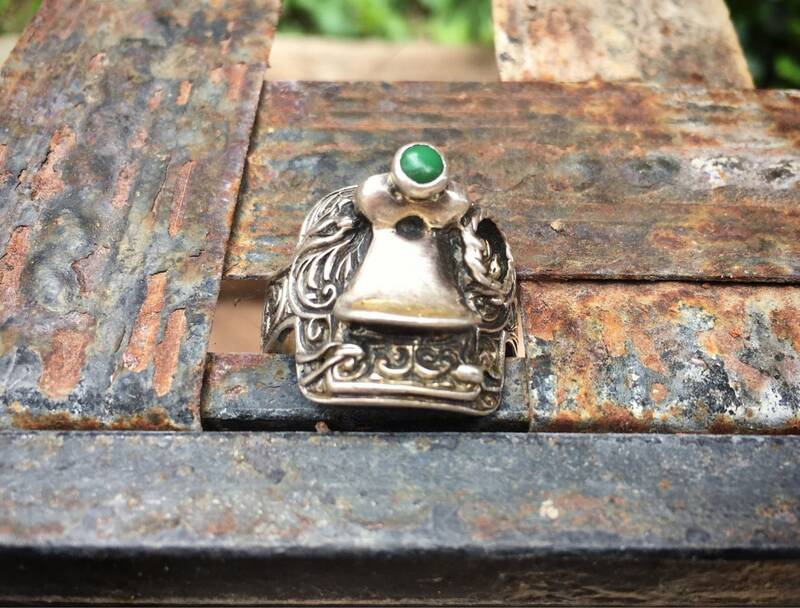 The ring is Size 10.5, and the ring face measures just 3/4" long by oveer 1" wide. 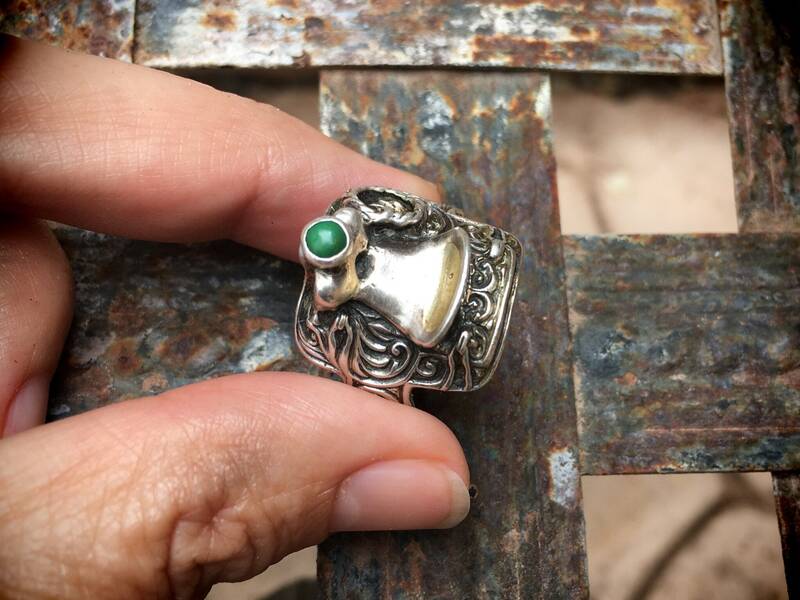 The silver has beautiful oxidation that creates depth in the saddle. In good vintage condition. 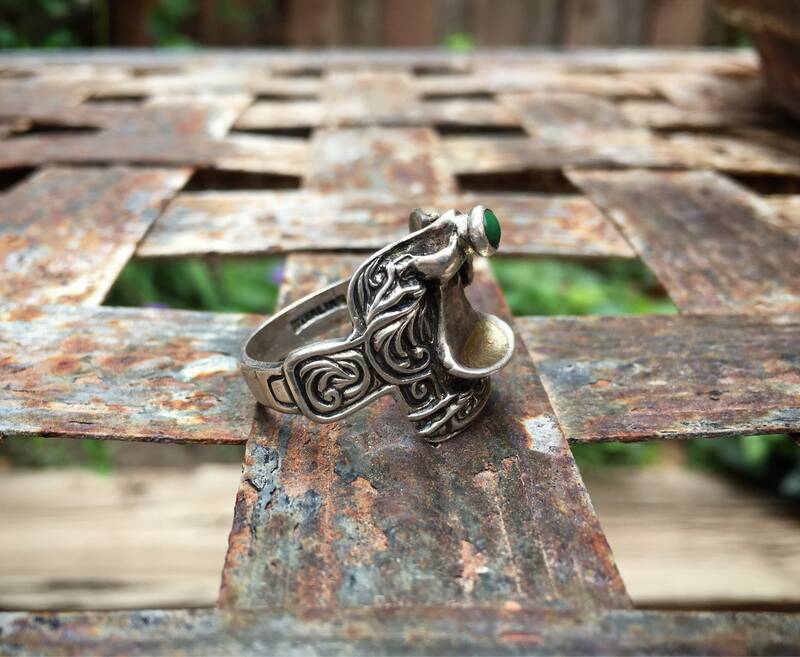 The ring can be resized for an additional $25; just let me know and I will create a listing. 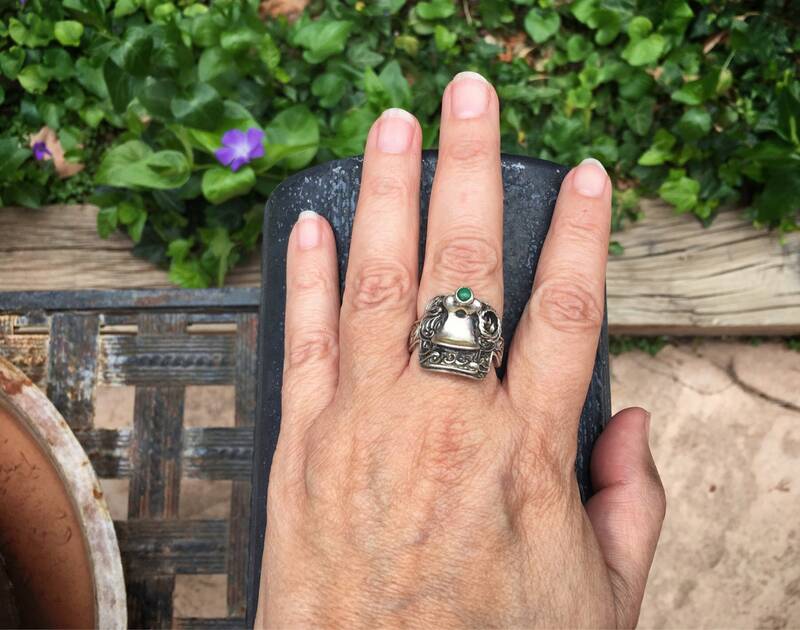 A fabulous ring that would be the perfect gift for a cowgirl or cowboy.